​Open up the New Testament to Matthew 16:13-20 and read what follows. This passage of scripture has been the flame of many heated arguments between denominations throughout the years. Catholics adamantly ascribe the “rock” of v. 18 to Peter, claiming this passage is the scriptural pointer to Peter as the first archbishop (pope) of the church. Protestants and Churches of Christ consistently teach the “rock” of v. 18 is none other than Christ Jesus. In this study, lean in and listen to the whispering voice of the Christ, speaking through the pen of Matthew, as He dispels all doubt with His artful allusions to the Old Testament. ​From the very first verse (13), notice the conversation is entirely about, “Who do men say that I, the Son of Man, am?” The question is not, “Who do men say that you, the Son of Jonah, are?” The “Son of Man” title is a direct allusion to prophecy from Daniel 7. There in Daniel 7:13-14, the Son of Man comes in the clouds, sits by the Ancient of Days, and is given dominion, glory, and an everlasting kingdom. Peter himself recognizes Jesus to be the fulfillment of the Messianic king in Acts 2:34-36. In the gospel of Matthew, the “Son of Man” title is Jesus’ favorite title for Himself, as He no doubt hints with each use of this title that Jesus is the Son of Man that Daniel prophesied about. 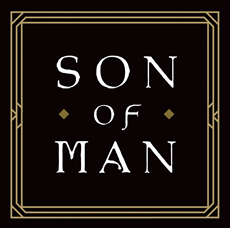 “Son of Man” appears 82 times across all four gospels and 30 times in Matthew alone (Quarles, Charles. A Theology of Matthew. P & R Publishing, 2013, pp. 89). During a later conversation in Matthew 16, Jesus makes a second allusion to Daniel 7, as He makes reference to His coming for judgment (Mt. 16:27-28). Daniel’s picture of the Son of Man is undoubtedly a heavy influence in Matthew 16, and the backdrop for Jesus’ teaching in Matthew 16:13-20. ​Now, keep Daniel’s book of prophecy close to the mind’s eye while the “rock” of Matthew 16:18 is examined. If the traditional Catholic distinction that Peter is the rock of v. 18 is true, then this is what happens in the conversation of Matthew 16:13-20. Jesus asks, “Who is the Son of Man,” proceeds to answer a completely different question as He discusses the fact that Peter is the foundation of the church, and when it is all said and done, He has not answered the question, “Who is the Son of Man?” This is illogical. This absent-mindedness sounds like something an average Joe might do, but not the antics of the Son of Man-Jesus Christ. Instead, this more orderly flow of thought proceeds from the mind of Jesus and rhymes with logic. Jesus asks, “Who is the Son of Man?” The Son of Man naturally reminds a faithful Jew like Peter of Daniel’s prophecy in Daniel 7. Jesus then proceeds to answer His question by identifying the Son of Man in Daniel 7 with the stone in Daniel 2. If one is a careful reader, he will notice the theme of Daniel is the Kingdom of Heaven. He will also take note that Daniel 2 and Daniel 7 are two separate visions that compliment each other, telling the same story from a different perspective. In Daniel 2, there is a stone that strikes a great image representing the kingdoms of the earth (Daniel 2:44-45). The stone grows into a great mountain (2:35), and this represents the beginning of the kingdom of God (2:44-45). The rock in Daniel 2:34, 36, and 45 represents Jesus Christ, the Son of Man. Just as Daniel says, “You (Nebuchadnezzar) are this head of gold,” in v.38, so Jesus is the stone. To speak of the head of a kingdom is to speak of the kingdom itself. This is illustrated by Paul in Eph. 1:22-23, where Jesus is called the head of the church. The same thing said of the stone in Daniel 2:44-45 is a parallel to what is said of the Son of Man in Daniel 7:13-14, and these are the prophecies directly alluded to by Jesus in Matthew 16:18. ​Perhaps the allusion to Daniel goes over the head of most people. Consider a simpler question. Is Jesus God? Yes, even Catholics believe Jesus is deity. If Jesus is talking to a group of Jewish disciples who have listened to the Old Testament in the synagogue their whole life, and Jesus says His kingdom will be built on a “rock”, what Biblical reference would come to Peter’s mind? Here is the answer. Peter would, without doubt, think of the oh-so-many references to God and the future Messiah as the Rock of Israel. There are a host of Old Testament prophets that ascribe this everlasting, solid and immovable “Rock” status to God and Messiah (i.e. Gen. 49:24; Deut. 32:15; 2 Sam. 23:3; Ps. 62:7; 78:35; Isaiah 8:14; 28:16; 44:8). Furthermore, Jesus had, on a previous occasion, compared His teachings to the foundation of a house built on a “rock” (Matt. 7:24-25). Jesus is the Rock, “the stone the builders rejected” (Ps. 188:22; Acts 4:11): the foundation of the church (Eph. 2:19-21). ​There seems to be little room for doubt. If the disciples do not immediately think of Daniel’s Son of Man prophecy, certainly Daniel’s prophecy of the stone in Daniel 2, coupled with the plethora of references to God and Messiah as the “Rock” of Israel, would reveal the answer to the question of Matthew 16:13, “Who do men say that I, the Son of Man, am?” The question was answered decisively for these Jews; thus, they are instructed not to reveal this new knowledge of the Christ until the time is ripe (Matthew 16:20). Read the Old and New Testaments together, and do not let faith rest on the traditions of men. There is a preacher who preaches for a megachurch in Houston, Texas who has been described as “the most popular preacher in America.” The church he preaches for televises their worship services and he is seen all over the country. The church takes in 70 million dollars a year in contributions. He has written several best selling books and for one of his latest books he was paid an advance of 13 million dollars. Based on all the foregoing I can see why he is considered to be the most popular preacher in America. If the criteria for popularity is money and the number of people who follow you he certainly qualifies as popular preacher. But, I wonder, if the Apostle Paul were alive today would he be popular? Would he even be allowed into the pulpits of most churches today? I believe Paul would be unpopular today for the following reasons. Style. The aforementioned most popular preacher in America begins every sermon with a joke. Sometimes his listeners send him jokes and he uses them to start off his sermons. He uses very little scripture and really his sermons are just feel good talks about how to be successful and get ahead in business and life. It’s the power of positive thinking wrapped up in a fluffy feel good package. Can you imagine the Apostle Paul beginning one of his sermons with a joke? In I Corinthians 2: 1-5 Paul described his style of preaching. “I came not with excellency of speech or of wisdom, declaring to you the testimony of God. For I determined not to know anything among you save Jesus Christ and him crucified.” In Romans 1:16 Paul declared that the gospel he preached was the power of God unto salvation and in Acts 20:20-27 Paul reminded the Ephesians that he had kept back nothing that was profitable for them. “I am pure from the blood of all men, for I have not shunned to declare the whole counsel of God.” That kind of preaching would not make Paul popular today! It is the kind of preaching still needed in the world and in the church today. Sin. The Houston preacher described above never preaches on sin. In fact, in one interview he was asked why he never mentions the words sin, judgment, or hell. He answered that he has not been called to judge people but to encourage and inspire them therefore he never uses those words. When I heard that answer I knew why he is considered the most popular preacher in America! The way to build and maintain a megachurch is to never preach about sin. Paul used the words sin, judgment, and hell in his preaching, however. In II Timothy 3 Paul wrote that perilous times were coming when men would be covetous, boasters, blasphemers, unholy, without natural affection, truce breakers, traitors, despisers of those who are good, and lovers of pleasure more than lovers of God. By the way, if those times are not here already, may the Lord have mercy on us when they arrive! I think it obvious, however, that we are living in a time when it is perilous and dangerous to be a Christian and to take a stand against sin. In Galatians 5 Paul declares the works of the flesh are adultery, fornication, uncleanness, murder, drunkenness, etc. Are these still sins today? If so, it is the “calling” of every preacher to preach against them just like Paul did. If Paul were here today he would preach against sin and that would not make him the most popular preacher in America! Pattern. If Paul were here today he would still preach that there is a pattern for the work and worship of the church. That would make him unpopular not only with outsiders, but with many people in churches of Christ today. The popular notion that it does not matter how we worship as long as we are zealous and sincere would be contradicted by Paul. In fact, it is contradicted by Paul in the epistles he left us. In I Corinthians 11:2 he praised the brethren for “remembering him in all things and keeping the ordinances as delivered.” When Paul praised them for remembering him, he meant they remembered and recognized his apostolic office and authority. Paul, as an inspired apostle, set down the pattern for the observance of the Lord’s Supper and he declared it should be kept as delivered. After giving a pattern for the assembly in I Corinthians 14, Paul says in verse 38, “If a man does not recognize this he is not to be recognized.” In II Thessalonians 2:15 Paul admonishes us to stand fast and hold on to the traditions we have received by the word of God. He is speaking, of course, of inspired traditions. If he were here today Paul would preach that the traditions, ordinances, and patterns revealed in the New Testament must be kept today if we are going to serve and worship the Lord acceptably. That kind of preaching would make Paul unpopular even in churches of Christ! Baptism. If Paul were here today he would preach the same thing he preached about baptism as he preached 2000 years ago He would not be popular and in fact many would accuse him of preaching “water salvation.” In recounting his own conversion Paul declared that he was told, “Arise and be baptized, and wash away your sins, calling on the name of the Lord.” He immediately arose and was baptized, and it was after his baptism that he stopped praying and rejoiced knowing his sins were forgiven. Paul preached that baptism puts us into Christ where all spiritual blessings reside. (Romans 6:3- 5 & Galatians 3:27) Baptism is so essential to salvation that Paul commanded 12 men he met in Ephesus to be baptized a second time because their first baptism was invalid. I wonder what would happen if Paul told all those who have been baptized thinking they were saved before baptism that their baptisms are invalid and they need to be baptized again for the right reason? I do not think that would make him the most popular preacher in America! The point to this whole article is, of course, that Paul would be unpopular today. The reason is not because Paul’s preaching would change – it would not – it is because people have not changed. Paul was not popular in his own day because people did not want the truth, and that has not changed. Paul, undoubtedly, was not concerned about popularity but preaching the truth and so should we. I do need to say, in closing, that Paul was popular with those who loved the truth, and if I may say it this way, he was popular with the Lord. That is all that mattered to Paul, and may it be what most matters to us!